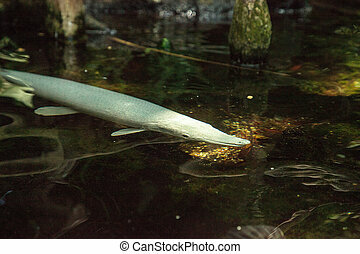 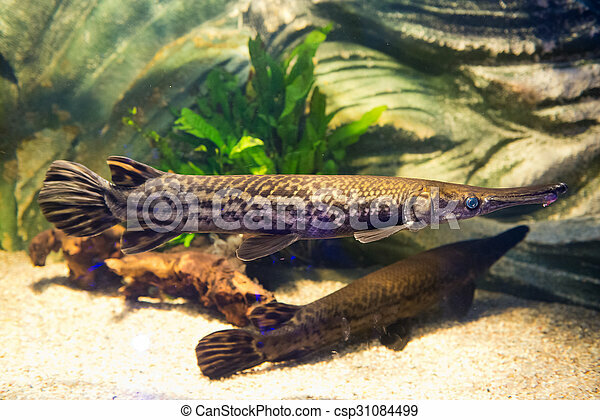 Atractosteus spatula - alligator gars - freshwater fish. Leucistic Alligator gar Atractosteus spatula swims through brackish waters. 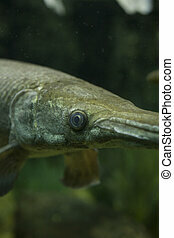 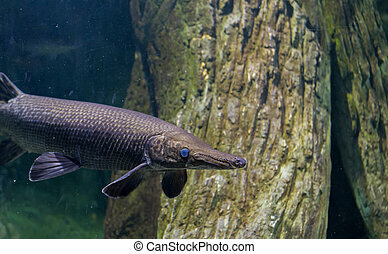 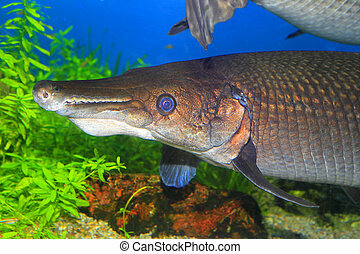 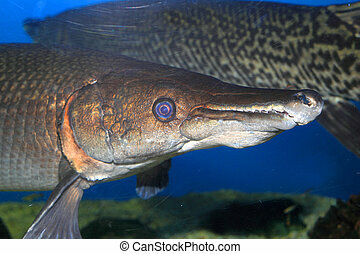 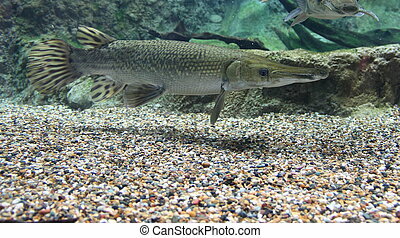 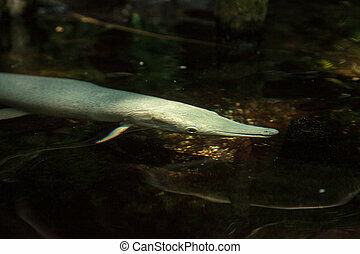 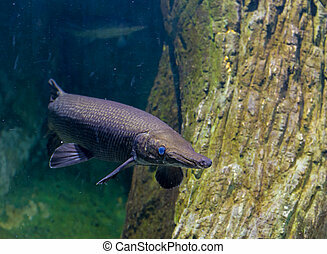 image of Alligator gar fish in aquarium tank.